In spite of some calls from the business community to plot a course back to the black, Finance Minister Bill Morneau didn’t deliver a plan for the federal government to balance the budget through the end of the forecast period. 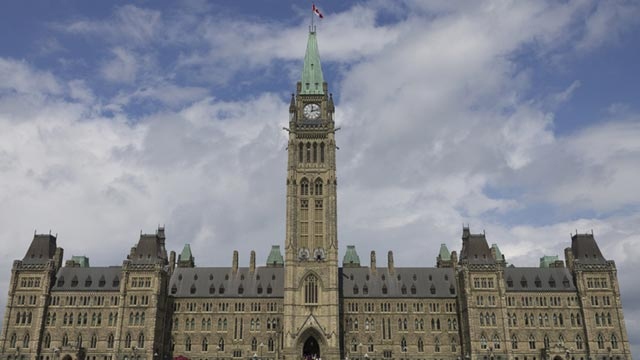 Ottawa now expects to run a $12.3-billion deficit in 2022-23, about $200-million less than it predicted in the Fall Economic Statement. The federal government left its deficit and debt-to-GDP outlooks essentially unchanged, forecasting a modest improvement on both fronts compared to the Fall Economic Statement. Ottawa now expects to run an $18.1-billion dollar deficit this year, with debt-to-GDP coming in at 30.1 per cent. The two metrics are expected to improve gradually over the course of the forecast period, with the key debt-to-GDP figure declining to 28.4 per cent in fiscal 2022-23. Ottawa is extending 40 weeks’ worth of employment insurance coverage to new parents, but only if they both take part. The new EI Parental Sharing benefit adds five weeks to existing coverage, so long as each parent takes no more than 35 weeks but no less than five. Ottawa is touting the measure, which will cost $1.2 billion over the next five years as a way to get women back in the workforce faster, as the labour participation rate among women hovers at 61.2 per cent. Are you more or less confident about Canada’s economic outlook after the budget? As part of Budget 2018, the federal government is bolstering the Working Income Tax Benefit in a bid to keep lower-income Canadians active in the workforce. Ottawa is proposing what it calls the “Canada Workers Benefit” as an expansion on the current system which supplements the earnings of lower-income workers. Under the expanded framework, the benefit would increase by as much as $170 a month for workers, and would be phased out at a higher income threshold, which Ottawa hopes will incentivize beneficiaries to continue working. Ottawa is opening up its doors to increase lending for the construction and development of more purpose-built rental housing. The government is boosting the amount of loans that are made available for the Rental Construction Finance Initiative to $3.75 billion from $2.5 billion over the next three years. The tight housing markets in Vancouver and Toronto have pushed vacancy rates to 0.9 per cent and 1.0 per cent respectively, pressuring renters. Ottawa is opening its wallet to the tune of $3.2 billion over the next five years to invest in Canadian science and research. The federal government has made increasing investment to develop Canada’s high-tech, high-skilled sector in the wake of recommendations made by Bill Morneau’s economic advisory council.